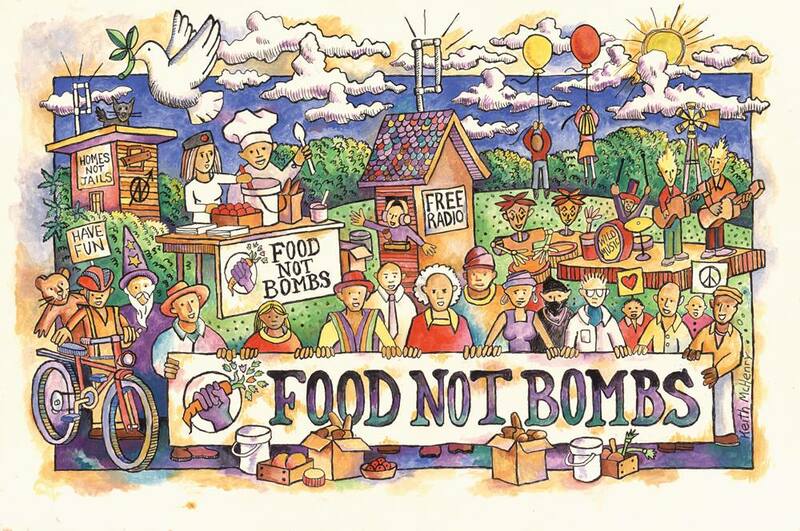 Food Not Bombs Dundee are a nonprofit, grassroots solidarity project run by volunteers in Dundee. 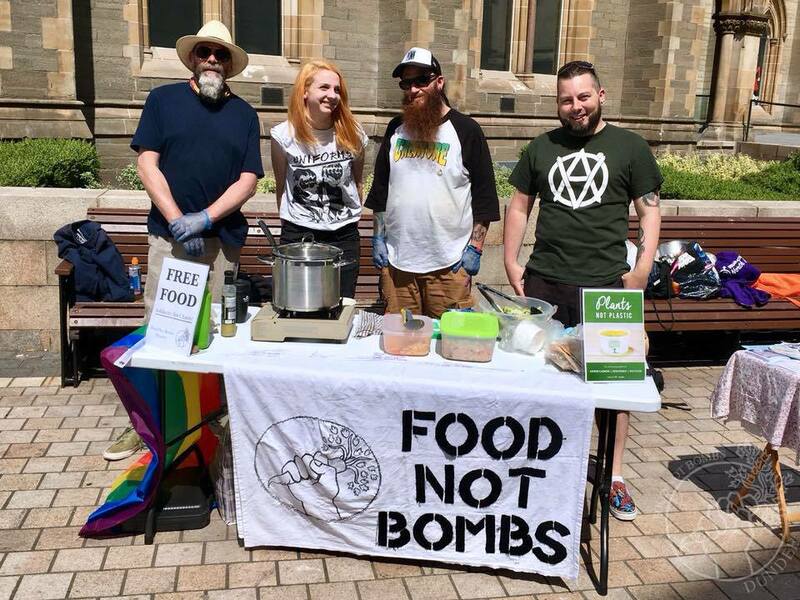 Our mission is to not offer charity but rather solidarity to our community in the capacity of feeding people with a nutritious vegan meal that would otherwise have gone to waste and offering access to local support networks provided by either the council, NHS or other local groups/charities. We recognise times are hard for people and that we’re all one tragedy away from being in crisis. Often those that are hit the worst are left to fend from themselves and rely on the ever-shrinking welfare offered by the state. It’s easy to forget that people in hard times are part of our community and it’s just as easy for them to feel like they don’t belong in the wider community. We are trying to bridge that gap in our community to reconnect people and show that our community cares and to fight the stigma around people enduring hard times.